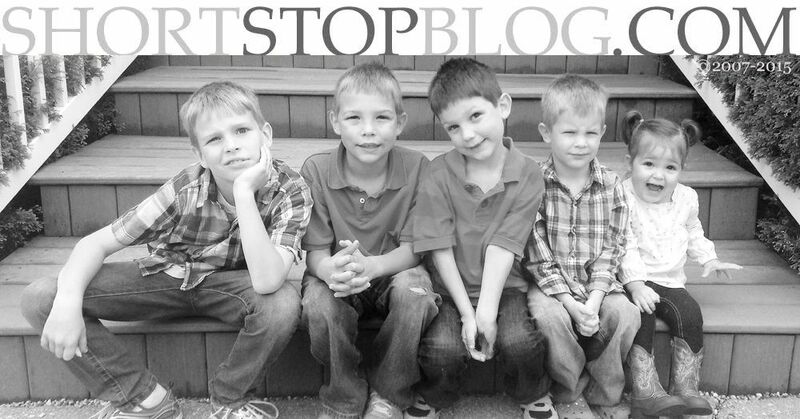 Since I haven't done much blogging since the birth of our sweet girl, I thought I'd tiptoe back into this little space with a recipe. Because, well...FOOD! I mean, a girl's gotta eat. If we're friends on Facebook or Instagram, you've seen a bazillion photos of our Holly girl. And, I'll get to posting them here soon. Honestly, her birth and life have been such emotional experiences for me that I just haven't had the mental or emotional resourcefulness to write about them yet. Because, well...HORMONES! Maybe cracking open this computer will get me going, again. No promises. So today - a favorite recipe. I've made this one many times. I originally got this recipe from my friend, Chickie, two years ago. But, since I've made it EACH of the last two weeks, it's time to share. Because it's become a family favorite around here and I think y'all will love it, too. This is one of those recipes that takes minimal effort, but has a HUGE payoff - in looks and in flavor. You must, must, must use fresh basil, fresh tomato, and fresh Mozzarella. Those fresh ingredients are what make this dish so absolutely delicious. The basic idea is to bake or grill marinated (Store bought marinade! Holla!) chicken, and then layer it with Bruschetta toppings before broiling it or finishing it off on the grill. EASY, delicious, beautiful Bruschetta Chicken. *Note: This is as easy to make for two people as it is for thirty. You could make 2-3 pans of this in the oven all at once if you're having a big party! And, your guests will LOVE it! I usually serve it with mashed or roasted potatoes and a salad. Hope y'all love this one as much as we do! Preheat oven to 375 degrees. Place chicken halves marinated in dressing in baking dish. Bake at 375 degrees for 40 minutes, or until juices run clear from chicken. 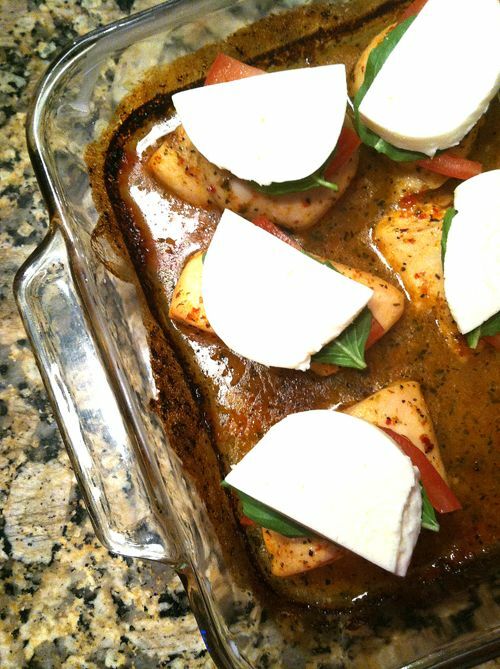 While chicken is baking, slice fresh mozzarella into 8 pieces and slice tomatoes, about 1/4 inch thick. 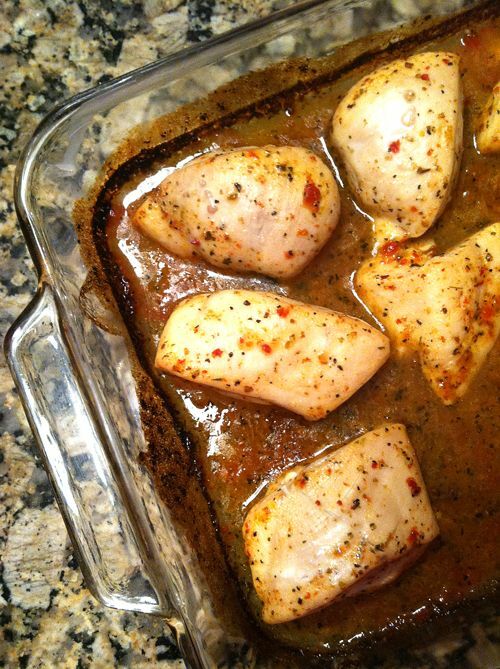 When chicken is baked, remove baking dish and set oven to broil. 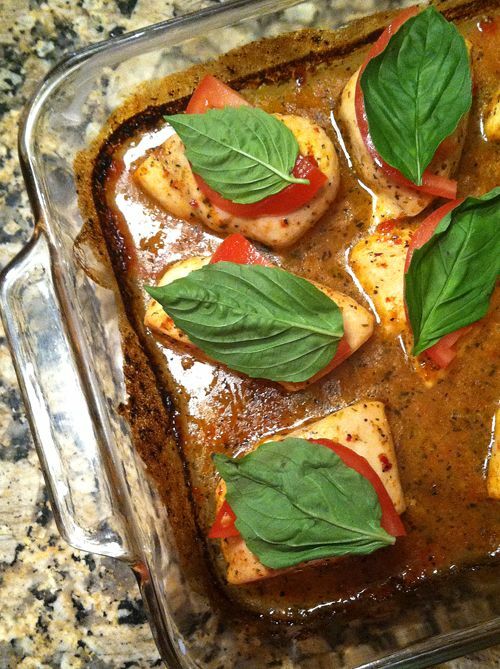 Top each chicken breast with one slice of tomato, one basil leaf, and finish with one slice of fresh mozzarella. Broil for 5 minutes, or until cheese is completely melted. 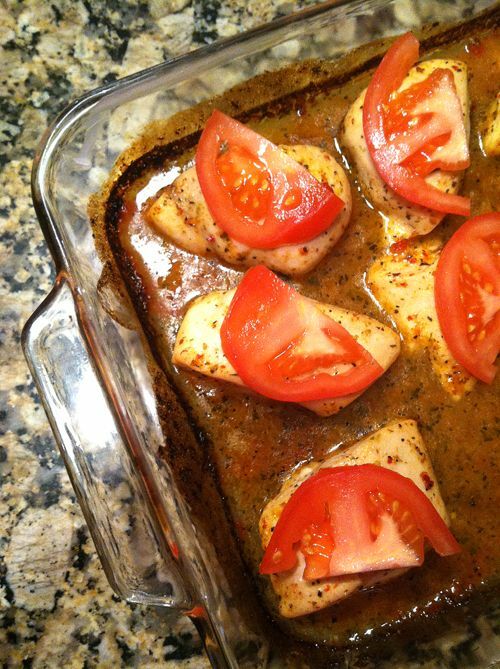 *If grilling, grill marinated chicken then top with tomato, basil, and mozzarella. Close grill cover and continue to grill until cheese is melted. 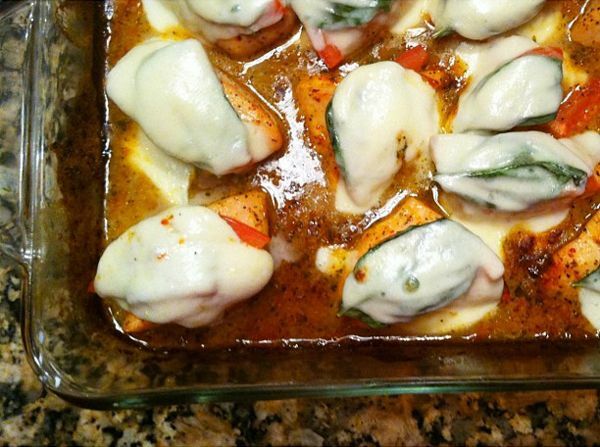 This looks like a fabulous recipe, thank you for posting!